I found this short sleeve button-down shirt in a bunch of Brad’s old things. The material is very soft and I liked the way it felt so much that I wanted to wear it! Can you tell I started this project in the summer? It took awhile to figure out what to make out of it, but I landed on a little black dress. First the pocket, sleeves and collar came off. Then I turned the shirt inside-out and put it on Sally backwards (after removing her classy accessories) so that the buttons go down the back. Then I pinned her sides. I pinned the neckline and left the original shirt hem alone. I sewed everything down and trimmed off the extra side materials. When I put on my new pinstriped dress, it was missing something. Brad even agreed! 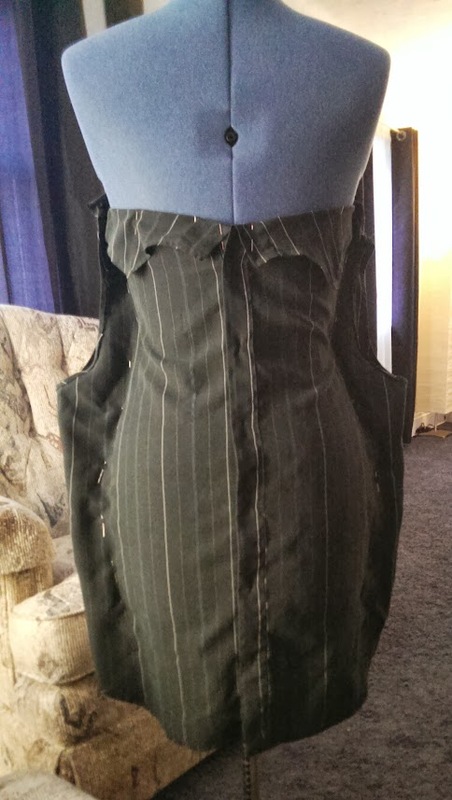 I decided it needed better definition at the waist so I dug out the collar and made it into a fuaux peplum. Here’s the back, it’s tough to see but I kept the original shirt buttons. 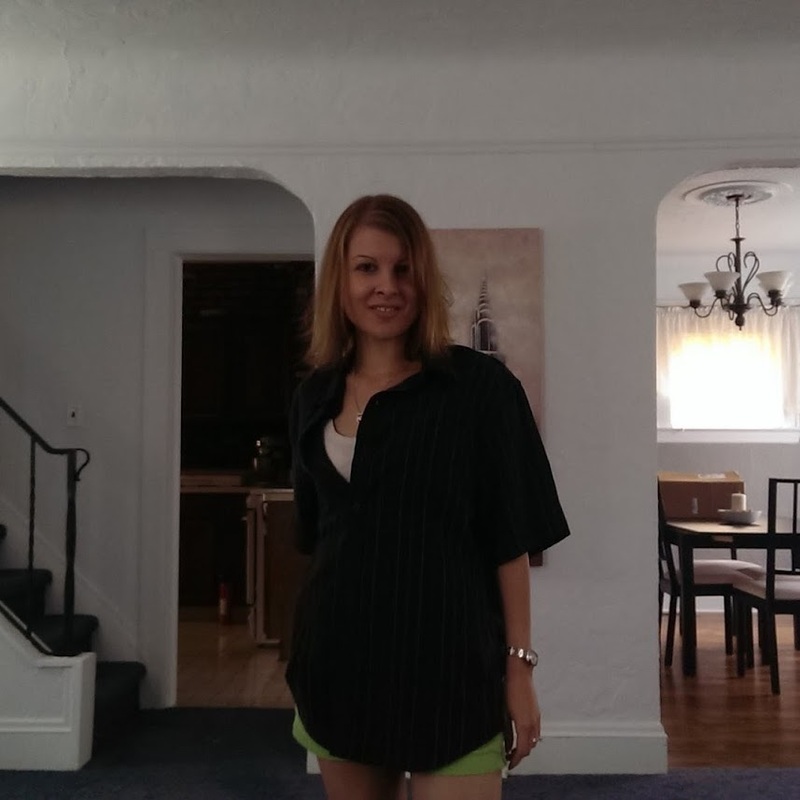 This entry was posted in Refashions and tagged little black dress, refashion, sewing, style by Rachel. Bookmark the permalink. 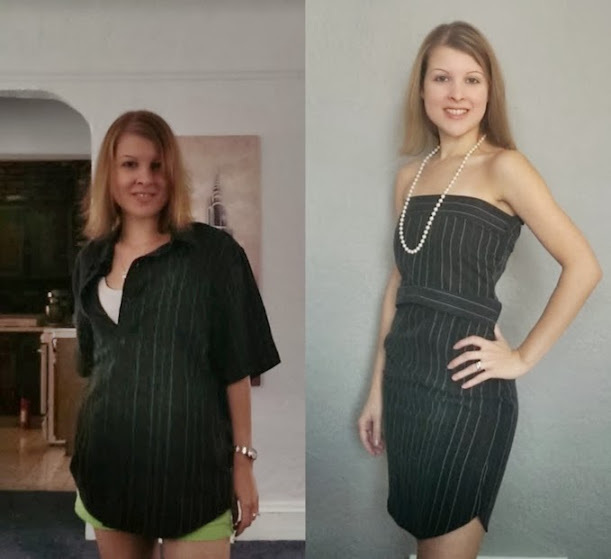 Awesome job on this refashion, it looks amazing on! You are so creative. That’s such a great LBD, especially with what you did turning the collar of the men’s shirt into the peplum design. Love it! Thanks for adding me to your mood board! Glad you liked the refashion!